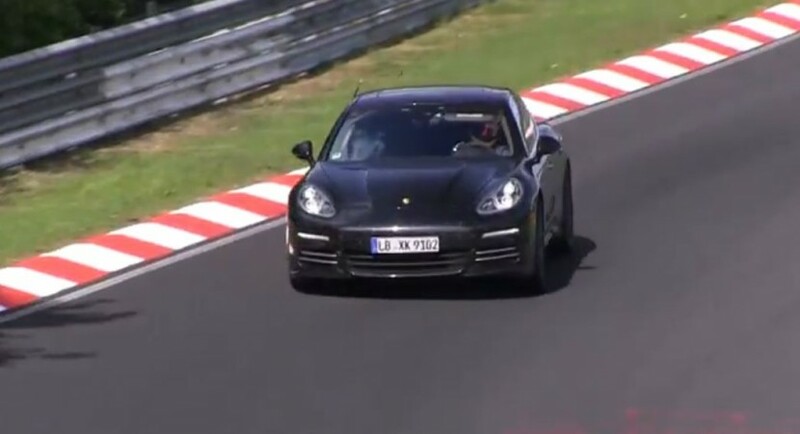 The 2017 Porsche Panamera is in the spotlights again, as it was caught on a video while undergoing some tests on the tracks, at the famous Nurburgring, Germany. The Porsche German based sports car manufacturer is ready to tackle the sports luxury market with the newest Panamera model, but before launching the version, the 2017 model was put to some tests first. The video is showing two 2017 Porsches Panamera revving their V6 and V8 engines on the tracks, with the luxury models to also receive their own body styles, since these are just some test mules. The 2017 Porsche Panamera would sport a body style with influences taken from the Panamera Sport Turismo Concept, with the rear taken from the 911 as well. The upcoming Panamera model will be standing on the same already famous MSB platform, also underpinned on the Bentley models. The vehicle will be also lighter with around 100 kg. Under the hood, the 2017 Porsche Panamera will be sporting a 3.0-liter supercharged V6 and V8 units, hooked at a 9.4 kWh lithium-ion battery. No performance details are yet revealed.